As technology pushes healthcare and life sciences organizations toward connectivity, bridging the gap between data silos remains an ongoing challenge. So how can healthcare organizations meet rising patient expectations and make the integration process as seamless as possible? 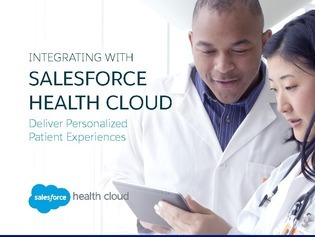 In this e-book, discover the different use cases and approaches your organization can take to integrate your EHR data with Salesforce Health Cloud.